Remaking the original Tony Hawk’s Pro Skater games was going to be a tricky endeavor from the very beginning. Not only are the original Playstation titles beloved classics, they are also rather dated. 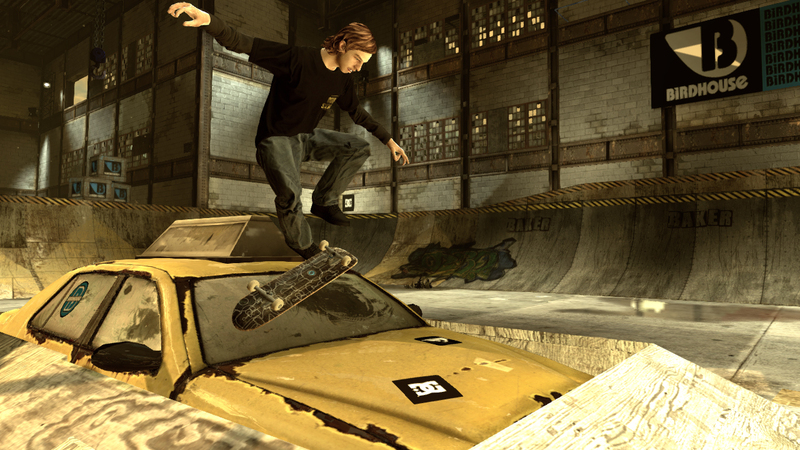 The skateboarding genre has come along way since those early days, and lately EA’s Skate series has reigned supreme. Could an HD Tony Hawk game hold up today? Activision has compiled seven levels from the first two games and given them a fresh coat of non-pixelated paint. It’s nice to finally be able to play old favorites with updated graphics, but the selection appears to be random: Warehouse, School 2, Mall, Downhill Jam, Hangar, Marseilles and Venice. Everyone has their own personal favorites, of course, but a few of these had me scratching my head (I can’t recall anyone ever going crazy over Downhill Jam, for example). 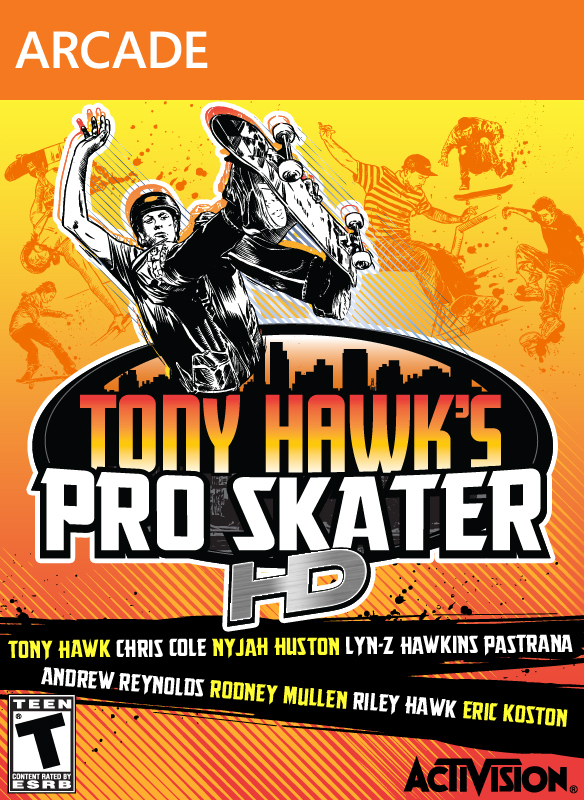 A handful of familiar skaters have returned, including Tony Hawk, Rodney Mullen and Andrew Reynolds, as well as a batch of new characters. Create-a-skater is absent; in its place is the ability to use your Xbox avatar. It’s a bit odd at first to see an avatar skating around, but it’s as close as we can get to creating our own player. The same control scheme is in place, and it only offers the bag of tricks found in the first two games (meaning no “revert” option, though that is to come in future DLC). Each level has the same goals as before — collect S-K-A-T-E, ollie the magic bum, find the secret tape, etc. — and the pieces are exactly where they have always been. A huge wave of nostalgia came over me as I entered the Warehouse for the first time in years. It was like I was a teenager again, getting ready for my favorite two-minute fix. The familiar sounds of Powerman 5000’s “When Worlds Collide” filled the speakers. I was ready. But then something happened. My skater didn’t move the way I remembered. I botched a simple kickflip, and instead of falling over I went flying into a ramp at the other side of the screen. Blood splattered on the ground, which was a familiar sight, but were the controls always this touchy? I got up and skated over to the half pipe. A few simple grab tricks had me feeling better about my skills, but then I wiped out again after a slightly sloppy landing. I didn’t fly as far this time, but I started to gain the perception that I needed to be a little more careful. After a few more playthroughs, I began to adjust to the tweaked game mechanics. At first I thought I was just rusty, but it was pretty clear that the physics were completely different. Developer Robomodo remade the game using Unreal Engine 3, and in doing so lost some of the playability from before. The similarities are there, but it’s as if the physics were run through a filter before reaching their destination. I fired up my original Tony Hawk 2 disc to see if nostalgia was tilting my perception. I ran through the Hangar without missing a beat. The couple times I did fall felt realistic, and I did not go flying off the hinges when getting big air off a half pipe. There was a pretty big difference between the two in terms of gameplay, and former THPS junkies will surely notice the changes as well. Having said that, the new controls do improve a bit once a skater is upgraded with better stats. They’re still not perfect, but pulling off combos is a bit more manageable. It just takes a bit of work to get to that point. With just seven levels, the single player campaign is relatively brief. It doesn’t take long to unlock each area, but some of the trickier goals are just as difficult as before. Good luck finding and hitting all of the secret tapes — it took me a while to remember where a few of them even were. Playing with friends was always one of the highlights of the Tony Hawk series, but multiplayer this time around is online only. There is no split-screen gameplay whatsoever. Unfortunately, at the time of this writing, the online matchmaking system leaves a lot to be desired. On average, I am able to connect to a quick match once out of every five attempts. This happens regardless of what mode/level I select, even if I opt for the “any” option. When a connection actually does come through, it is still a lot of fun competing against others. There are occasional moments of random graphical glitches, but they don’t hinder gameplay. Old favorites such as Trick Attack and Graffiti are back, but H-O-R-S-E is strangely missing. In its place is a new Big Head mode, which is enjoyable even if it is peculiar to have replaced an original. I imagine the multiplayer aspect was scaled back due to cost and/or time issues, but the omissions, particularly split-screen, are glaring. I wanted to love Tony Hawk’s Pro Skater HD, I really did. To be able to play some of my all-time favorite games again with updated graphics is, in some ways, a dream come true. It’s a shame that the original in-game physics could not be replicated, because otherwise it would be easier to ignore the game’s other faults. It’s not that this is a *bad* game per se, it’s just that it could not live up to its lofty expectations. Messing with nostalgia is a dangerous thing, and this feels like a Tony Hawk game, but one that is stripped of its soul. Side note: if you really want to play this and have the option to play on a different system, I recommend waiting for the PS3 version, at least if you are a d-pad user. The 360’s d-pad does not do this game any favors. This is a fair review, and you have many of the same quarrels I had with it. The biggest letdown for me was the lack of levels. Seven stages to skate on is incredibly low no matter how you slice it. I did however enjoy all my time with the game: feeling like I was a teenager again is something very few games do. 6/10 is a good call. I hope the DLC is worthwhile. I heard they were looking at bringing in levels from THPS3, which is my favorite. Yeah, the lack of levels is disappointing. I think the original games had nine or ten, so I’m surprised they didn’t add a couple more. No special stages either, which is a missed opportunity. I am definitely interested in the DLC, though. THPS3 is my favorite game from the series (and quite possibly top five all-time for me) so I will be keeping an eye out for that. It will be nice to get the ‘revert’ option back as well. I quite liked it at first but as I kept playing the more I noticed its flaws were glaring. Also, I don’t know how many times I tried reverting only to remember they chose not to include it. Yeah, the flaws do become more apparent over time. I’m also interested in the DLC — it’s kind of funny how we have come to rely on the ‘revert’ option over the years. I definitely missed using it in this game. I think I liked it a bit more than you did Eric. I thought the physics were pretty similar (although, unlike yourself, I haven’t booted up the original to compare so definitely take your word on that one). I got back in to it like riding a bike and I’ve just polished off the projectives and all of the achievements (the on involving Birdman mode in The Hangar is pretty damn hard, as is the 8 skateboards on Downhill Jam). 7/10 for me, mainly because the multiplayer is awful, there should have been at least one more level and getting all of the gaps should have been a projective (and/or achievement). Hi Sam, glad to hear you got more out of this than me. I was wondering if my mind was playing tricks on me in regards to the physics, but yeah, after booting up THPS2 the difference was quite jarring. This isn’t a bad HD remake, but it could have been so much more.